London is a cultural hub – packed with pretty much every kind of museum and gallery imaginable. Don’t miss these brilliant free museums in London. It’s no secret that London isn’t the cheapest city – step outside of your door and pounds pour from your purse, encouraged by a series of delicious meals and must-see attractions. Believe me, I know how you feel. So it can be surprising just how many of London’s museums are free to visit. Pretty much all of the city’s biggest museums and galleries cost totally zilch to visit – not something that you can say about many cities. Not sure where to start? I’ve chosen 30 of the best free museums in London – get some comfortable shoes on. It’s time to explore. The Tate Modern opened in 2000, so it is one of the newer free museums in London, but it has wasted no time in establishing a great name for itself. Situated inside an old power station on the South Bank, it is one of London’s most impressive museums. 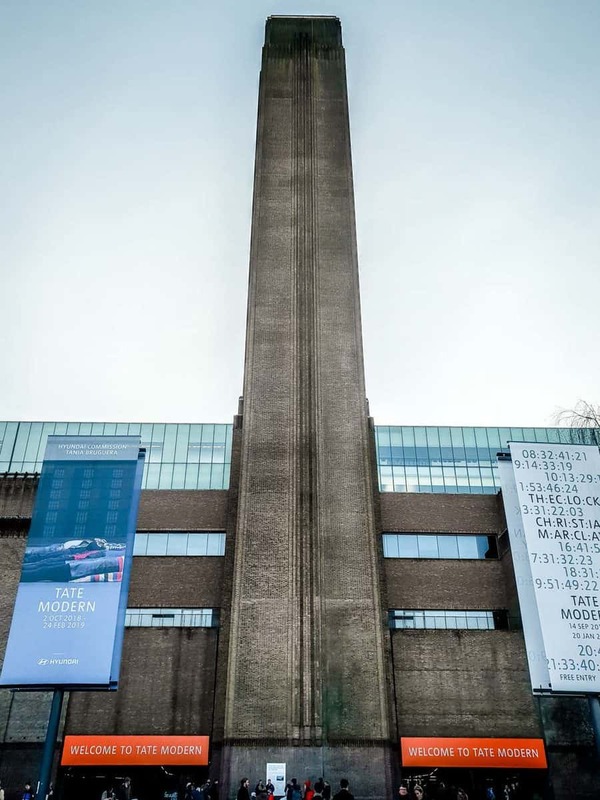 A towering monolith of art on the banks of the Thames. Unsurprisingly, given its name, The Tate Modern houses one of the world’s largest collections of modern and contemporary art. Check out the expansive permanent collection, with thousands of incredible artworks dating from 1900 through to today. Highlights include works by Monet, Hepworth, Pollock and Rothko and pieces by Picasso from every period of his life. Add to this an ever-changing roster of temporary exhibitions (for which you have to pay) and you’re onto a winner. Located in Millbank, The Tate Britain is another of the best free museums in London. The Tate Modern might be the cool new kid on the block, but personally I prefer its more austere sister museum further downriver, the Tate Britain. The museum opened in 1897 and has been welcoming visitors to admire a huge collection of British art from the Tudor times onwards since. It’s a walk though the history of the country’s art (though the interpretation of British is relatively loose) straight through from Hogarth to David Hockney, with British greats such as Gainsborough, Reynolds and Frederick Lord Leighton dotted in between. Several artists left their life’s works to the Tate Britain, including renowned artist J. M. W. Turner. Read More: Here’s why I chose Leighton House – the studio house of Frederick Lord Leighton as one of the quirkiest things to do in London. 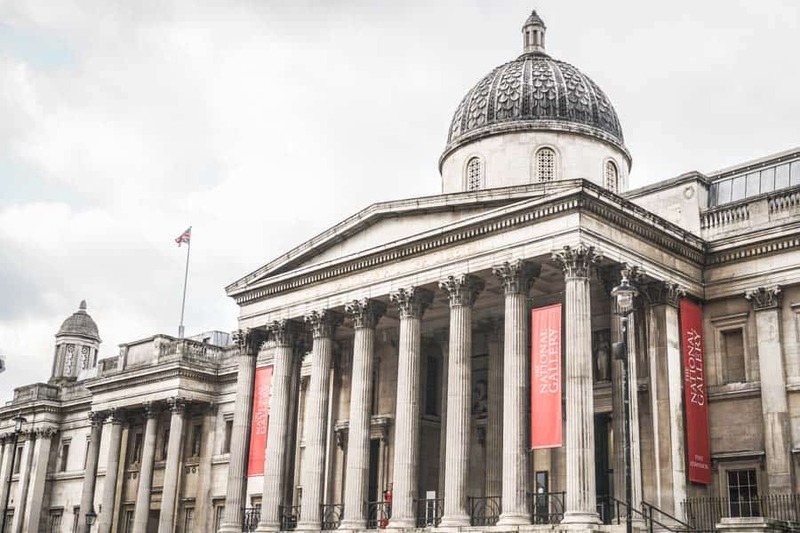 If you only make time to visit a few museums during your London trip, The National Gallery should be at the top of your list. The gallery sits proudly overlooking Trafalgar Square and features an impressive collection with more than 2,300 pieces from the mid 1200s to 1900. 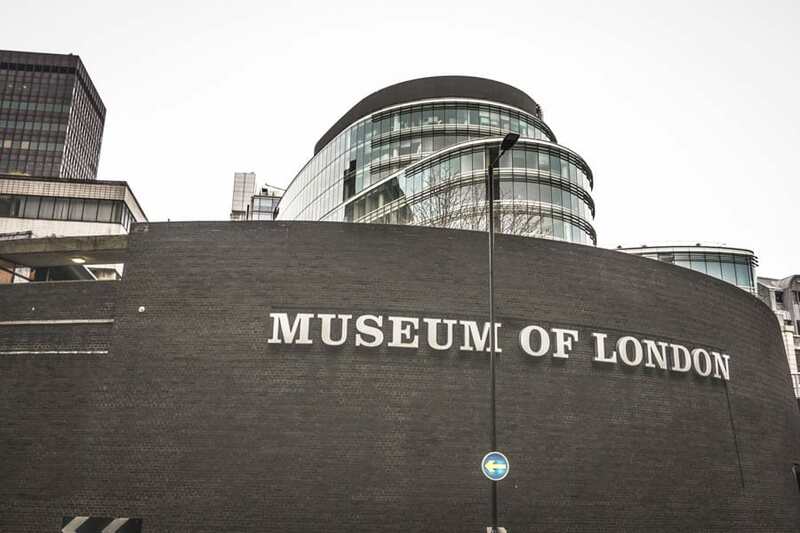 It’s certainly one of the best free art museums in London, and a must see. Botticelli, Leonardo. Rembrandt, Degas, Giotto, Da Vinci, Monet, Titian… you get the point. The National Gallery is like a hall of fame for leading European artists post-Renaissance. Beware, it’s vast – you’ll need at least a full morning or afternoon to explore the full collection or book a guided tour to learn more. Tucked behind the National Gallery, the National Portrait Gallery is the biggest collection of portraits in the world. It’s not quite as vast as the National Gallery but it’s very much worth taking your time to see the collection. One interesting thing about this free London art museum is that the paintings are chosen for the significance of the subject, not the artist. Some of the most well-known subjects include William Shakespeare (allegedly), the Bronte sisters and Queen Victoria. After your visit, stop off at the cool rooftop cafe when you’re finished as the views of London are pretty spectacular. South Kensington is home to three of the best free museums in London – the Science Museum, Natural History Museum and the V&A. The Science Museum is the perfect chance to learn more about all the things you’ve ever wanted to know about, and then some! It’s been delighting visitors since 1857 with its amazing collections. The Museum also does some very fun adults-only “Lates” events. The calendar is very varied – past events have ranged from lectures to Faberge Egg decorating and silent discos, so check the schedule and be sure to book ahead. 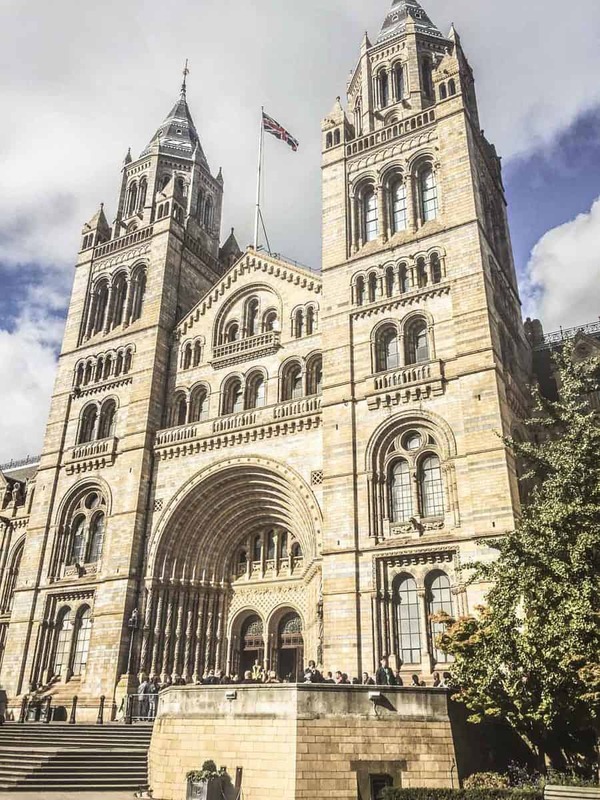 The Natural History Museum is one of the most striking and fascinating free museums in London, and a great day out. Sadly, Dippy the dinosaur has left the building. These days you’re greeted by a huge skeleton of ‘Hope’, a blue whale skeleton hanging in the world-famous Hintze Hall just inside the entrance of the museum. It’s a striking start to a fascinating museum. Learn about the history of planet earth, walk in the footsteps of the dinosaurs or take the escalator up into the solar system to explore outer space – it’s a journey through our natural world. Don’t be turned off if natural history wasn’t your thing in school, it’s impossible not to have a good time (and learn something) in this great London museum. This museum located in Brompton is positively regal – and not just because it was named after (and opened by) Queen Victoria and her husband, Prince Albert. The huge Victorian Gothic building is striking enough (fittingly so for a museum dedicated to design) – but wait until you get inside. The V&A has a broad collection loosely focused around art and design, with more than two million pieces in total spread out over five acres. Be sure to see the world’s largest collection of post-classical (around 500 – 1450 AD) sculptures, many William Morris designs, fashion exhibitions and everything in between. With an eclectic collection amassed throughout the centuries, the British Museum demands comfortable shoes and a lot of time. It’s undoubtedly one of the best free entry museums in London, and an incredible tour through the history of humanity. An entire afternoon or morning will barely skim the surface, while even a full day will leave many treasures undiscovered. It’s truly mesmerising to be mere centimetres from some of history’s most significant artefacts, like the Rosetta Stone, used to translate Egyptian hieroglyphics, or intricate artwork from the ancient civilisation of Mesopotamia. 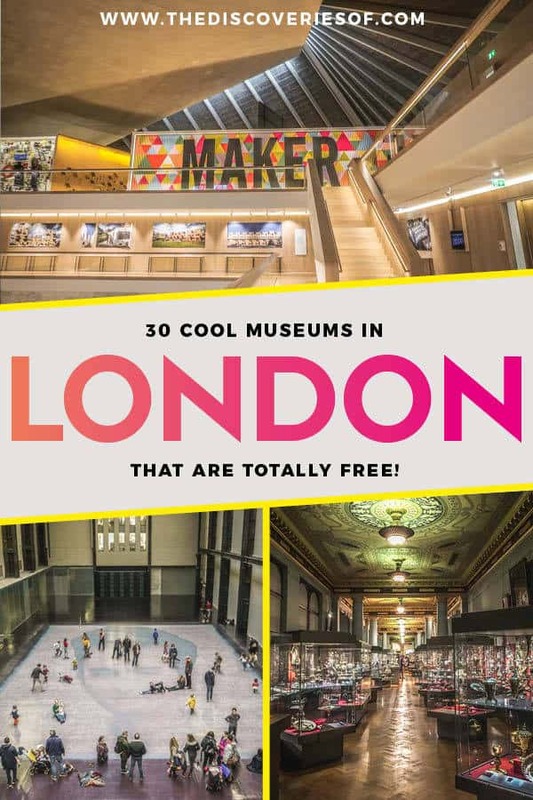 With so many free entry museums in London featuring collections sourced from around the world, the Museum of London takes a completely different tack – showcasing the history of my weird and wonderful city. The museum traces the history of London from prehistoric times through to modern times, with an emphasis on the characters that have called the city home. It’s a fascinating look at the events and people who have made the great city what it is today. Fittingly, just outside the museum you can still see some remnants of the Roman wall that was built around early London some 2,000 years ago. 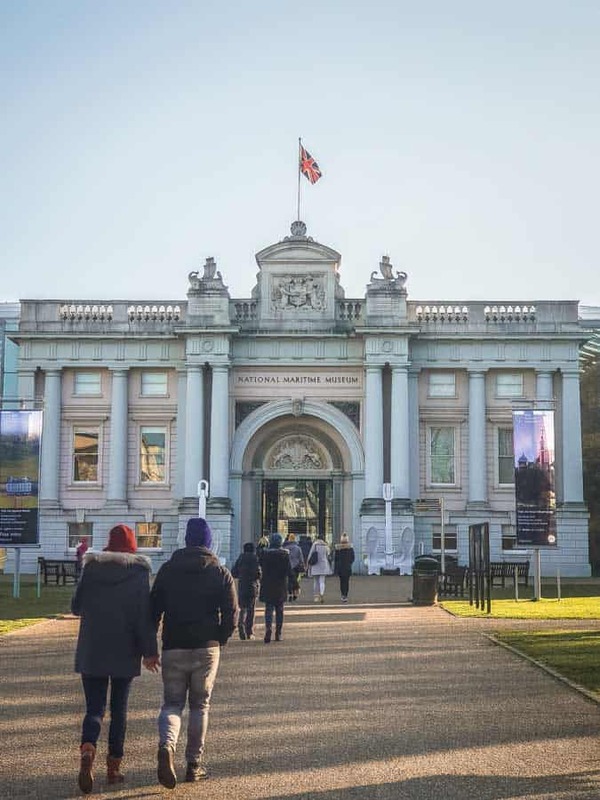 Greenwich is full of treasures – few better than the surprisingly good National Maritime Museum. You don’t need to be a history buff to enjoy learning about Britain’s maritime history. Retracing the history of the seas in Britain from the Roman landings (fittingly, in Greenwich) and onwards is super interesting. Also keep an eye out for the temporary exhibitions on eclectic subjects ranging from Ansel Adams to Astronomy Photographer of the Year, most of which you’ll need to buy tickets for. 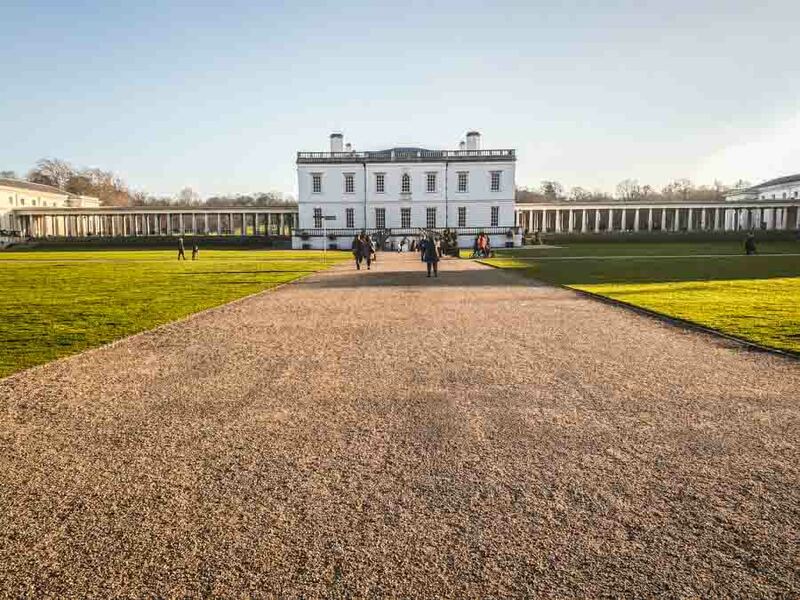 Queen’s House is a relatively recent addition to Greenwich’s museum collection, and is found in the former royal residence of Queen Anne of Denmark. In fact, as much of the delight of Queen’s House is exploring the gorgeous neoclassical buildings as it is seeing the art displayed within. First constructed in 1637, it is a very significant building in British architecture. That said, the art is pretty impressive, too. In particular, be sure to check out the famous Armada Portrait of Queen Elizabeth I. Despite its fame, historians are not actually sure who the painted the 1588 masterpiece, as prior attributions to painter George Gower were proved incorrect. Tucked away in Kennington, the Imperial War Museum is a full on sensory overload thrusting you into the brutal reality of war. Through a varied collection that includes letters, films, photographs and artefacts, the museum is an unflinching and often poignant look at modern warfare and its impact on people and society. The collection is particularly interesting as it offers many different perspectives, from those on the front lines of modern warfare through to the journalists, artists and poets that have covered the subject. An odd and totally lovable museum in Holborn, Sir John Soane’s is one of London’s coolest little museums. Sir John Soane had humble beginnings, but grew to become a great architect who most famously designed the Bank of England, which influenced architectural trends worldwide. Although most of his work at the Bank of England has been removed over time, you can still step into his eccentric world at this museum. Housed in his former home (and now a few adjoining buildings), it showcases his eclectic collection of art, furniture and various antiques and oddities. Check it out during the unique “Late” events held every month, when they light it up by candlelight and run a tour on a different theme. Dates vary, so check the calendar online. In Bethnal Green, this offshoot of the popular V&A museum is dedicated to the childhood experience. Your inner child will love exploring the amazing collection of toys and games from antique dolls’ houses to 1970s action figures. Kids are sure to especially love the hands-on exhibits. In addition to the large permanent collection, there are also frequent temporary exhibits on upstairs. 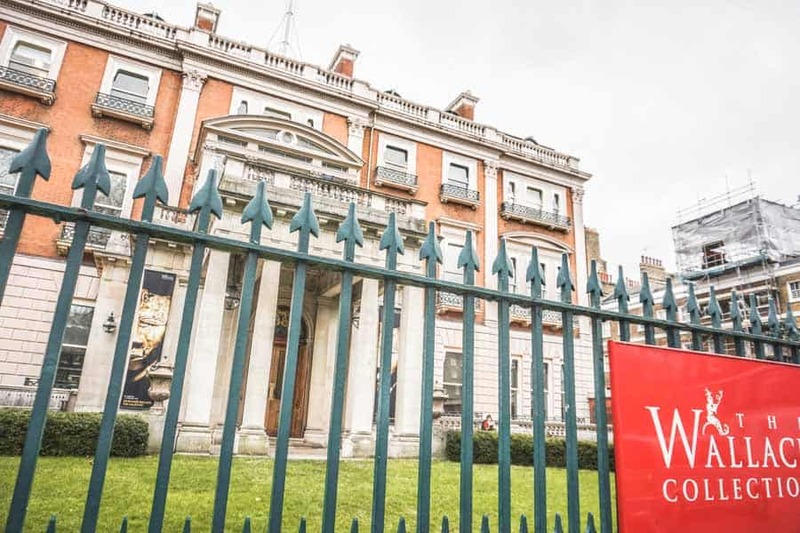 North of Oxford Street, there’s no missing the striking buildings of the Wallace Collection, one of the most interesting free art museums in London. Inside the buildings, you’ll find paintings from the 15th to 19th century, with a particularly impressive collection of 18th century French artworks said to rival the collection at Versailles. 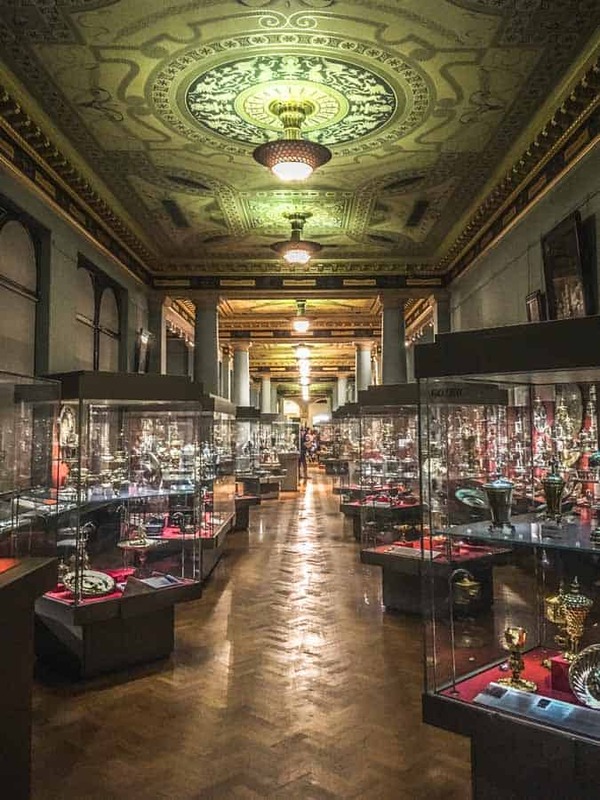 This free museum is the only place you’ll ever be able to see these masterpieces – when Sir Richard Wallace’s widow bequeathed the collection, she made it a condition that not a single piece should ever leave the imposing building. One of London’s quirkier and lesser-known spots is literally a blend of old and new. 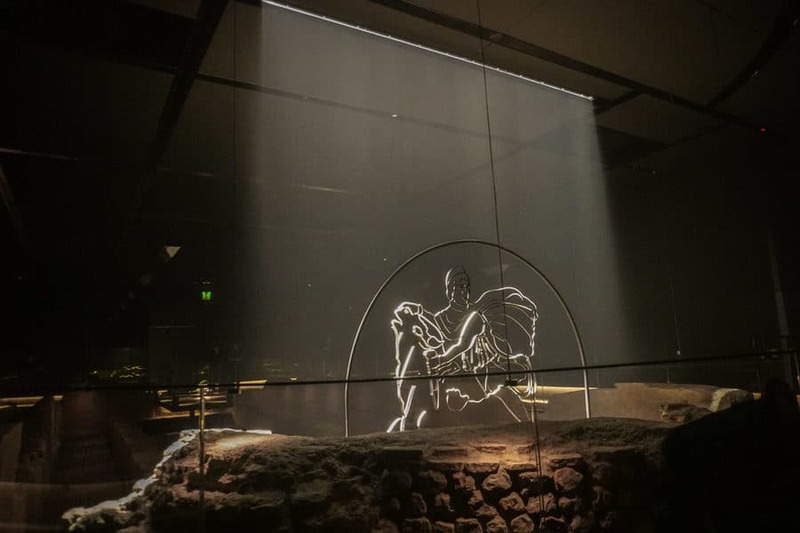 The London Mithraeum is a museum centred around the ruins of a Roman Temple and is located, rather oddly, underneath the shiny glass Bloomberg Buildings in the middle of the city. A visit to the Mithraeum is not just looking at old artefacts, but a full on sensory experience. There’s timed entry where you’re thrust into the Roman world for a dramatic and fun-filled ten minutes. Think chanting and moody lighting and you’re on the right track. An museum mostly consisting of art about medicine might seem like a bit of a strange one, but the Wellcome Collection attracts more than 700,000 visitors every year. Inside, you’ll find an oddly fascinating collection of art, books and artefacts relating to the development of medicine around the globe. It’s certainly enough to evoke some morbid curiosity! As well as the museum, there is also a cafe, a bookshop and a particularly impressive library. Occupying a huge area once known as the Hendon Aerodrome, the Royal Air Force Museum has a huge collection of items about the British airforce. With five hangars and another large building, there’s a vast collection of items from original Supermarine Spitfires from the Battle of Britain, to books and photographs. There’s also a special section for kids, with replica planes and helicopters, as well as a great cafe. The impressive Guildhall Gallery was first opened in 1885 to allow the public to have access to the City of London’s art collection. It proved very popular until it was almost totally destroyed by World War II air raids in 1941. Sadly, a number of art pieces were destroyed, but there was a silver lining because a well-preserved Roman Amphitheatre was discovered during reconstruction works. 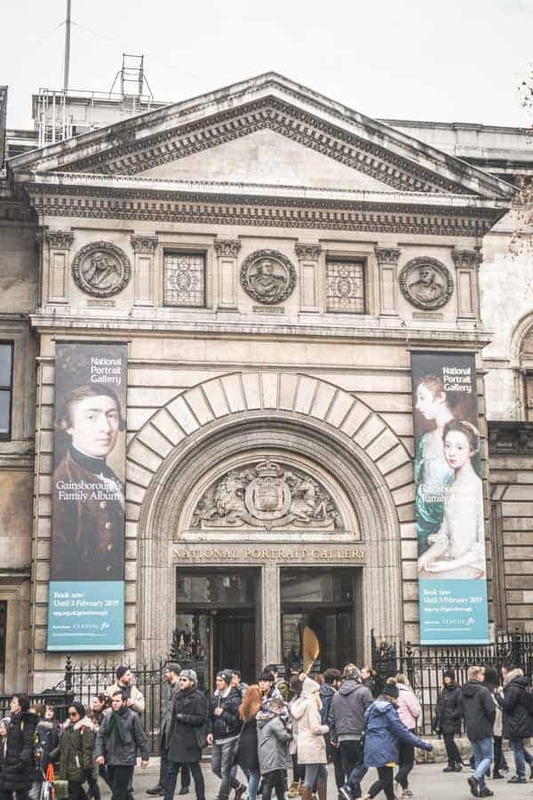 Today, the new and improved building incorporates the amphitheatre and also houses a vast collection of Victorian paintings and paintings of London. I love the striking red brick buildings of the British Library, home to the largest national library in the world. The British Library has so many books that no-one knows the exact number. The best guesses put it at between 150 and 200 million in the collections. Pretty amazing, right? A lot of the building is restricted to readers but they do have a few exhibition spaces where there is always something interesting on. 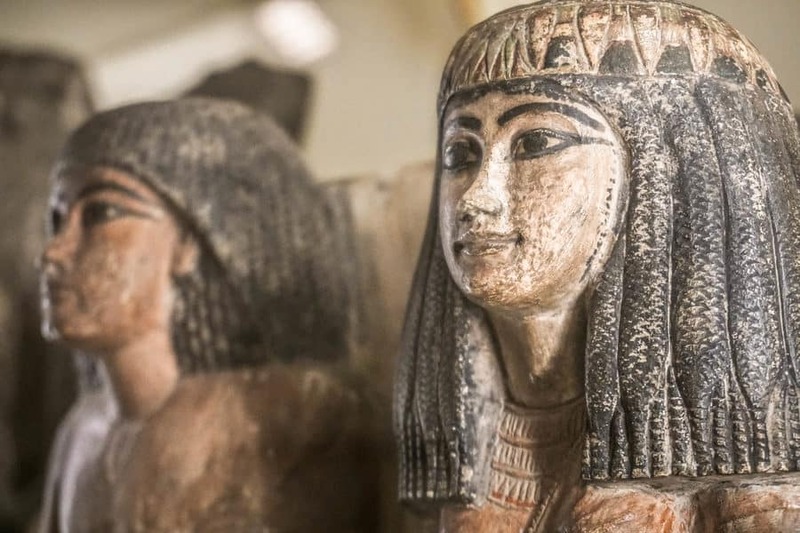 Part of the University College of London, the Petrie Museum of Egyptian Archaeology delves into the world of the Ancient Egyptians. Intricate carvings, clothing, pottery and hieroglyphics from Egypt and Sudan await inside the unassuming brick building. The initial collection was donated by the 19th century author and Egyptologist Amelia Edwards, and has grown to be more than 80,000 items. It’s a definite must for anyone interested in Ancient Egypt. 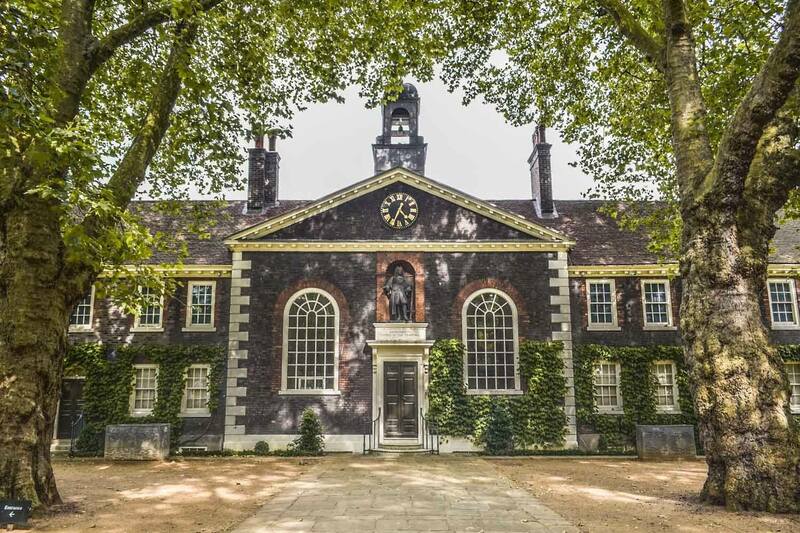 The offbeat Geffrye Museum of the Home is currently closed for a total revamp, with plans to reopen in 2020. Although the collections – featuring items from domestic life through the centuries – are currently closed, you can still venture through the beautiful front gardens. You can also admire the exterior of the building, which is a Grade I listed almshouse dating from the 18th century. I have no doubt once it reopens it will reclaim its spot amongst the best free museums and galleries in London. The Design Museum moved to its new impressive Kensington premises in 2016 after many years on the bank of the Thames. 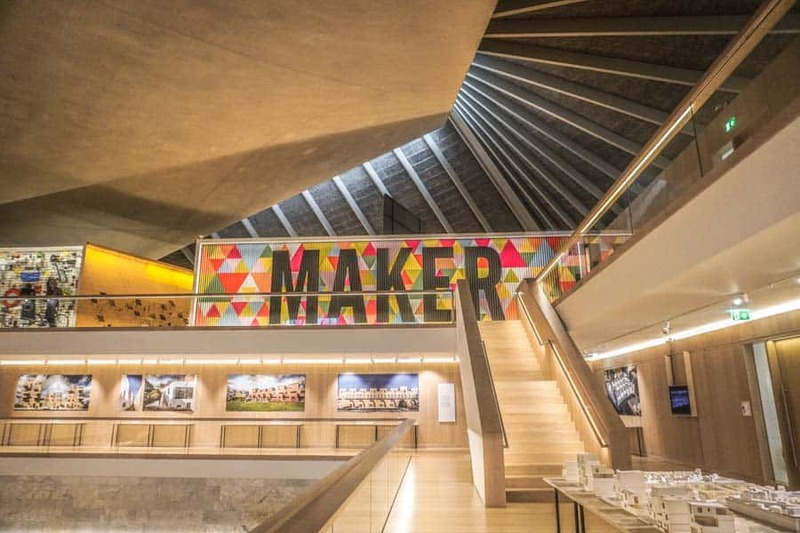 Inside the ultra-modern new building, the Design Museum walks you through the interesting history of design throughout the ages. The exhibits cover different areas including product, industrial, fashion, architectural and graphic design. See classics like the London Tube Map brought to life and look at everyday objects in a completely new light after exploring this great London museum – free! It might not sound like the most interesting topic for a museum, but there’s a lot to the history of advertising, marketing and packaging. At the Museum of Brands, you can check out many different items from eyebrow-raising Victorian advertisements to 90s toys. It’s really interesting to see how advertising has reflected society and attitudes, and you can’t help but feel a bit nostalgic on your visit. Located in Chelsea, the National Army Museum opened in 2017 after a huge renovation project. The new, spruced up museum offers five permanent collections devoted to the history of Britain’s land forces. There’s a lot of focus on individual stories and experiences, which adds a lot to the experience. Entry to the museum is free, but there is also a regular calendar of ticketed temporary exhibits that are worth checking out. Another great offering from the University College of London is the Grant Museum of Zoology in Bloomsbury. The museum was founded in 1828 by England’s first Chair of Zoology, and has one of the oldest natural history collections in the UK. Within the eclectic collection, some of the highlights including the skeletons of extinct animals such as the dodo, Tasmanian tiger and quagga plains zebra. For over 300 years, Burgh House has been one of London’s most iconic residences. It was originally built as a lavish home and lived in by characters including Elsie Bambridge, the daughter of Jungle Book author Rudyard Kipling. Today, Burgh House is open to the public and houses the Hampstead Museum, a small but thorough local history museum. There are permanent collections including many of Helen Allingham’s watercolours, as well as a calendar of interesting events. In Forest Hill in leafy south London, the Horniman Museum is like the Natural History Museum but on a much smaller (and more digestible) scale. Its collection has subjects including natural history, anthropology, and musical instruments, and is particularly famous for its many taxidermied species. 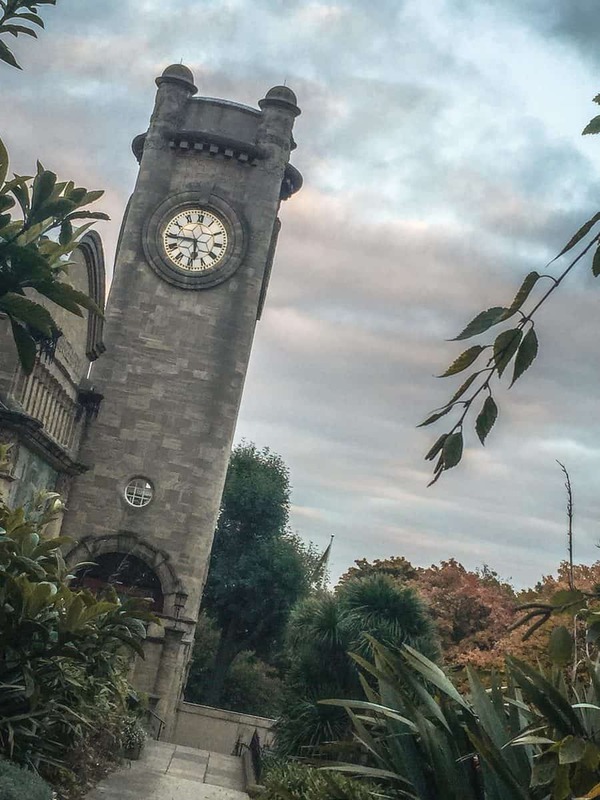 There’s quite the eclectic mix, and you’re sure to find something intriguing at the Horniman Museum. Don’t be fooled – it turns out that bank museums can be pretty fascinating (I know, I was pretty surprised too). For many years, the Bank of England’s collection was only open via a private and exclusive tour, but today it’s much more accessible. Everyone is welcome to check out the collection of bank notes and other memorabilia, for free! Of all the items, perhaps the most interesting has little do with money. Instead it’s the emotional resignation letter of Kenneth Grahame, who worked for the bank for 30 years and also wrote the world-famous children’s book The Wind in the Willows. Located in a Grade I listed sugar warehouse in Poplar, the Museum of the Docklands traces the history of London’s docklands. It’s a fascinating look into an area that was once considered one of the roughest in London, but has undergone a lot of rejuvenation in recent years. The exhibits are varied, featuring information on workers, residents, buildings and trade unions in the docklands area. There’s also chilling footage from the Blitz on display. So, there we are – the best free museums in London. Plenty to keep you entertained and out of trouble right? Although the museums are free, the smaller ones in particular do appreciate donations. If you have any spare pounds, they’ll be well used to keep the museums open and fund them for future generations. It’s hard to avoid the crowds at the bigger free museums and galleries in London, but going mid-week and away from school holidays can help. Get there early when they’re generally at their quietest. For the larger museums like the British Museum and the Natural History Museum, research what you want to see beforehand. If there’s something you’re desperate to see, check whether it’s on view – many of the largest museums like the Tate Britain rotate their collection on a frequent basis so not everything is on show. 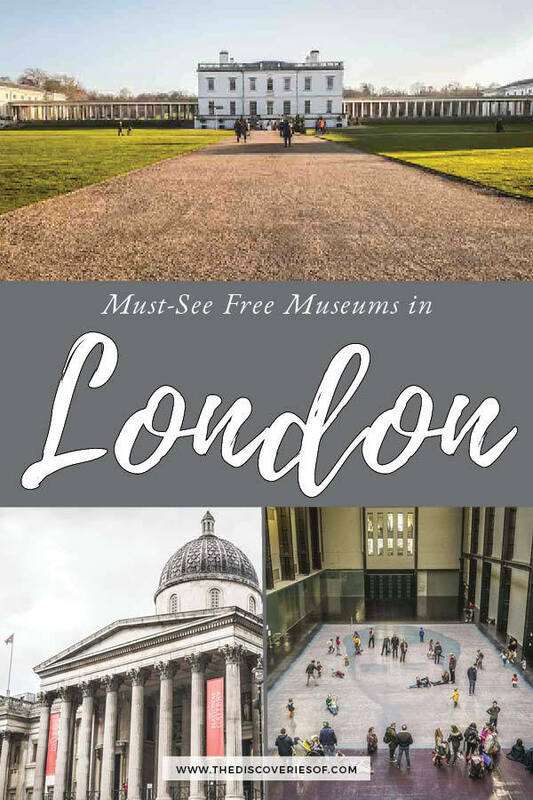 It’s interesting walking around on your own, but if you want to delve deep into the history and works of London’s free museums, you’re best off booking an organised tour. I tend to use Get Your Guide but you can also check the museum’s own websites for tours. I’ve mentioned museum “Lates” in quite a few entries. These are when London’s museums open late into the night for special events and exhibitions. They’re a really interesting way to see a different side of the museum – but they are rarely free. Click here for a map of the free museums featured.